Sachin Tendulkar has finally arrived on Twitter quietly and surreptitiously. Most people might have thought initially that it was a fake but now with Twitter verifying the account along with over hundred thousand followers in 24 hours. Its official that Tendulkar is now on Twitter and now his die hard crazy fans will get to follow their idol’s life. But Tendulkar is not the only cricketer on Twitter. There are quite a few. Some of them are fakes and some profiles are not being updated regularly so I will leave them out. But here is a list of all cricketers that you can find on Twitter. Just click on any of the names and you will be taken to their Twitter profile page. I am sure there are many others but I could not verify as I mentioned some accounts were too inactive to be really sure. Do follow these on field greats and also please do let me know if there are any other cricketers with Twitter profiles! Is Duckworth Lewis method unfair in T20 Cricket ? The ICC T20 World Cup in the West Indies has unraveled two new players. No they do not play for any team and don’t bat or bowl or field for that matter. They are not even controversial umpires. They are mathematicians who came up with the Duckworth-Lewis method of calculating target scores in case of rain shortened matches. Duckworth-Lewis method is a statistical method which involved calculating progressive scores based of past scores in One Day Internationals along with using wickets in hand as a resource to score more runs later on in the innings. Take for instance the match between England vs West Indies. England scored a fantastic score of 191/5 in 20 overs. In the second innings it rained and West Indies had to scored 60 runs of 6 overs. So instead of scoring almost over 9.5 runs an over for over 20 overs it left West Indies to score 10 runs an over for only 6 overs. I think West Indies can count themselves lucky. I think the problem here is that in a T20 match giving wickets a lot of importance as a resource could be counter-productive unlike in ODIs. For instance even if a team has lost 6 wickets in 15 overs and has scored 120 runs they can still put up 160-170 runs with the last 4 wickets. The last 4 wickets can be more effective in 5 overs of a T20 innings than a 12 overs of a 50 over match. So do you think T20 cricket need a different way to calculate scores and chuck the Duckworth-Lewis method atleast in this format of the game. Do let me know through your comments. I sat down to watch the first match in the T20 World Cup featuring Sri Lanka and New Zealand. I saw some boundaries and sixes being hit. There were a few catches too but the good news is that when someone dived and took a catch it was a ‘catch’ not a ‘Karbonn Kamaal Katch’ and neither were those big hits over the fences called ‘DLF Maximums’ they were simply called ‘Six’. IPL can truly be forgotten now, its time for International cricket all over again. The T20 World Cup started off with a thrilling match. The venue was Georgetown, Guyana which is the only cricket ground on the South American continent. The match started of quite slowly reflecting the slow nature of the pitch in the middle. 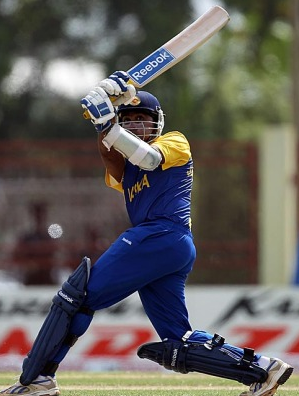 The Kiwis bowled a tight line but a brave and courageous innings by Mahela Jayawardene who scored 81 Runs of 51 balls. Sri Lanka ended up with a low but fighting total of 135/6. New Zealand started of aggressively but were grounded and slowed down but continuously losing wickets. New Zealand finally needed 10 runs to win of the last over and Lasith Malinga was due to bowl. Nathan McCullum the brother of Brendon McCullum the super start T20 batsman decided to arrive to the part and scored of the runs with one ball to spare. This way New Zealand pick up 2 points and will be expected to top the group as their next match is against Zimbabwe. 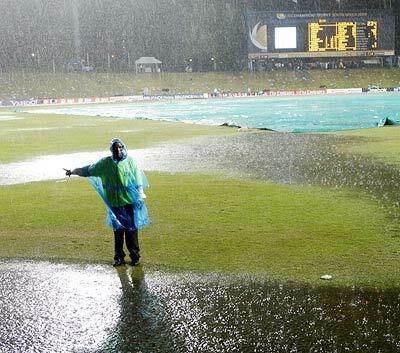 Sri Lanka now play Zimbabwe and they have to win otherwise they are out of the World Cup. I doubt the Lankans will allow that to happen, but only two days ago Zimbabwe did beat Australia in a practice match. After the New Zealand vs Sri Lanka match, West Indies squared off against Ireland. Ireland has great memories of winning against Pakistan during the World Cup in 2007. It also was played in the West Indies. But any such hopes of Ireland were quite easily dashed of by a under strength West Indies who had Chris Gayle, Jerome Taylor and Suleiman Ben on the injured list. Dwayne Bravo led the West Indies and the Windies never really soared with the bat and managed only 138/9. But the West Indies bowling was far too good for Ireland and they were bowled out for a meager score of 68. Darren Sammy from West Indies took 3 wickets an scored 30 runs and also took 4 catches. No prizes for guessing who was man of the match there. Tomorrow India take of Afghanistan in St Lucia and Bangladesh take on Pakistan at the same venue. Remember the ICC World Cup in 2007 in the West Indies. India was places in a easy group with Bangladesh, Sri Lanka and Bermuda. India lost its opening games against the supposedly amateurish Bangladesh team and was knocked out of the World Cup within a week. Tonight the T20 World Cup starts again in the West Indies and India start of their campaign against another supposedly amateurish team called Afghanistan. Yes, Afghanistan more known for war, bombs and violence has managed to put together a Cricket team and will take heart inspiration from Bangladesh’s upset win over India and try to emulate them. Afghanistan seems to have some decent fast bowlers who can trouble the batsman early on. Sometimes this works in a T20 format where some weak teams can cause havoc in 3-4 overs but not have the ability to match up for 50 over game. India also has not made things easy they are not playing a single warm-up match. This could be a bit of a issue as the Indian team players were all playing in the IPL and are match fit, but they have not spent time together as a team in match situation. This they will try to figure out in their first game against Afghanistan. There are many who think IPL is far too commercial and I have even heard comments that it is more about money than sports. Those are debates which will keep on being discussed but I went to see an IPL match in Mumbai Stadium recently and I was pleasantly surprised at how good the experience is for someone spending a lot of money to view a game from the stands. Last time I visited a Test match I had a pretty rough time and spectator comfort was something I was pretty sure the organizers had never even considered. Worse part was I felt like a fool who went to watch a Test match in a near empty stadium. For buying tickets to a Test match you have to go through a great deal of trouble. Most times you have to know someone inside the Cricket Association to get decent seats or take a chance and by tickets. Compare the IPL scenario. Almost a month before the tournament started they put out advertisements and took the help of the internet to make booking tickets extremely accessible. Food and beverages were readily available during an IPL match whereas during Test matches it if very difficult to manage to get decent drinking water. 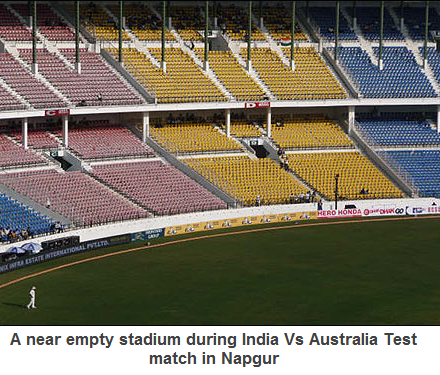 With a ban on carrying water inside the stadium watching a Test match for 6 hours without even water being available at times can be too much for a spectator. There were many public announcement and a lot of interaction by the security guards and ushers which made things very good for people especially older people. IPL organizers had music being played between overs and also during the breaks. Ofcourse it is fancy to criticize the use of cheerleaders during IPL matches but fact not many cover that interaction of the organizers with the crowd is at a great level. IPL matches are played at selective venues only which allows the stadiums to spruce up without worrying if they will host another match. This would be the same if a venue like Brabourne in Mumbai and Kolkatta’s Eden Gardens were assured of a Test match every year. This would allow the local state association to plan for better facilities. IPL matches are given importance by various board dignitaries and officials. But when have we see the top honchos of the Board watch a full Test match or watch atleast a full day. If the board give’s a Test Match importance it will automatically take care of the four points I have written above. So do you agree with me or not? Do let me know by dropping in your comments. Who will win the ICC T20 World Cup? The T20 World Cup tournament will start in a couple of days on 30th April and all the big boys of Cricket will try to go all out to win the coveted trophy. This is the third edition and India along with Pakistan have been the previous winners. 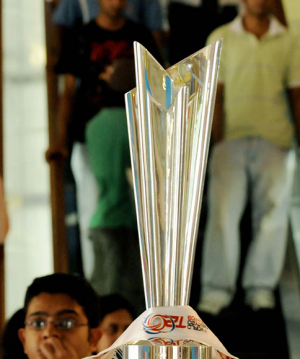 So who will win the trophy and become World T20 Champions? I do not think it is fair to expect Zimbabwe, Bangladesh, Afghanistan and Ireland to have any real possibilities to become T20 Champs. It might be a miracle to see anyone of these teams to come up to the Semi-Finals. So that leaves us with 8 teams and here is a analysis of their strengths and weakness. Probably one of the most talented teams with great fielding. Australia has not one only one type of International event and that is the T20 World Cup. Knowing the proud Aussies they would be desperate to win. Their weakness could be a lot of youngsters led by a slightly inexperienced captain in Micheal Clarke. But then again MS Dhoni did lead a very young and inexperienced to T20 glory in 2007. Player to watch out: Doug Bollinger especially after his fantastic performance for IPL champions Chennai Super Kings. I feel England takes limited overs cricket not too seriously and they probably take T20 format even less seriously which of course hampers their ability to win big tournaments. So I would be very suprised to see them win, but then the T20 experiment did begin in England and their county cricketers are quite familiar with the format. Player to watch out: Kevin Peiterson was very good during the Bangalore Royal Challengers and considering the great batsman he is I wont be surprised he wants to conquer this format. India will be strong contenders with probably the most experianced T20 side thanks to IPL. MS Dhoni continues to be a very good captain but it still is a little weak in the bowling department. India will worry about Yuvraj Singh’s form with the bat. Player to watch out: Suresh Raina has really blossomed into a big match player and world class fielder. It would be interesting to see Raina do wonders to stake his claim for ODI and Test squads. New Zealand have always been the dark horses with limited talent but a very professional side. Many of them were with the IPL teams. Their strengths are their professionalism and fielding. Player to watch out: Brendon McCullum will always be that spark of genius the Kiwis need but seem to be lacking to truly be a champion side. Pakistan will struggle to defend their title. I feel their side will be depleted after so many players being dropped. Afridi is the captain but even he has earned bad publicity for biting the cricket ball to tamper with it. Pakistan still has incredible talent with in all probability cause some upsets but I doubt will have the consistency to become champions. Player to watch out: Umar Gul can be dangerous as he showed during last years tournament that a quick burst of wickets can be match winning almost always. All teams are strong but I still feel they lack the finesse to become champions in the T20 format. South Africa has struggled in T20 almost always and most of their players except Kallis did not have a great IPL. Sri Lanka are probably still rebuilding and look the most promising amongst the three. West Indies will be playing at home and will be a force to reckon with considering they will have the likes of Keiron Pollard and Chris Gayle. Posted byAditya Kane April 29, 2010 Posted inICC T20 World Cup 2010, SeriesTags: T20, Teams, world cup1 Comment on Who will win the ICC T20 World Cup? The Indian Premier League is over and it is back to international nation versus nation cricket. The T20 World Cup starts on the 30th of April 2010. Indian will be led by MS Dhoni who would be full of confidence after leading Chennai Super Kings to IPL glory. Here are the Groups the teams have been divided into. Here is the match schedule for the league phase. All timings are Indian Standard Time. *Murali Vijay has been included as replacement for V. Sehwag. So are you looking forward to seeing countries play against countries again after the massive buzz of IPL? Do let me know by dropping in your comments. Mumbai Indians were the most consistent team in IPL 2010 but Chennai Super Kings are the most consistent team in all three editions of IPL by being the only team to play in Semi-Finals in all editions and also featuring in two Finals. Today MS Dhoni led Chennai Super Kings to IPL glory by winning it against the Mumbai Indians who were probably favorites before the final match started. Both team were well matched and at around the 15th over stage Mumbai Indians looked like they were going to control the game. This is where Raina was dropped twice in 2 overs and he ended up scoring over 35 runs in those overs. That hurt Mumbai Indians who probably were looking at a score around 140 to chase but had to chase 168 finally. The batting came off well but Chennai Super Kings choked the Mumbai players and made the chase very difficult. Towards the end Keiron Pollard did hit 22 in 1 over to give Mumbai hope. But Albie Morkel sealed it with second last over which went for very little leaving Mumbai to score 27 of the last over. This is the first time Chennai Super Kings have won the IPL and MS Dhoni becomes the first Indian player to lift the trophy as previous winners were Shane Warne for Rajasthan Royals and Adam Gilchrist for Deccan Chargers. I guess this can be called a good omen for MS Dhoni who leaves after a couple of day with the Indian team to lead them for the T20 World Cup. One of our most popular post was about the mock jersey for the new Pune IPL team. Well mock ups apart, Sahara the company which has the franchise rights for Pune’s IPL team has revealed the name the IPL team will go by. 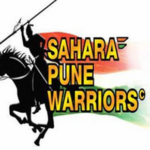 So the team in Pune will be called Sahara Pune Warriors. It as also released the logo for the new team. It is not surprising that Sahara chose to call the team Warriors as Pune was the capital of the Maratha Kingdom formed by the warrior clans in Maharashtra. The price tag of the team is some 370$ million, making it the most expensive in IPL. The team will play its matches in a newly built stadium about 25 kms away from the main city. So do you think they will rock the IPL next year. I guess we can make a better estimation after the grand auction of players later this year. Chennai Super Kings played Deccan Chargers in the 2nd Semi Final. The match started auspiciously for Chennai with their skipper MS. Dhoni winning the toss and elected to bat. Deccan Chargers ripped through the Chennai top order and inspite of dropping 3 catches had Chennai Super Kings looking quite pitiable. Chennai scrapped home a meager score of 144 and left Deccan Charger looking quite comfortable. But Bollinger took 4 wickets to make that score of 140+ look like it was 180. Sure enough after those wickets DC were slowed down and never in the game. This win takes Chennai Super Kings into the IPL final for the second time in 2 years. It also has secured a place in Champions League. So wait for Sunday 25th April when Chennai Super Kings take on the very much in form Mumbai Indians for the IPL title. So who do you think will win the Indian Premier League in 2010 ?